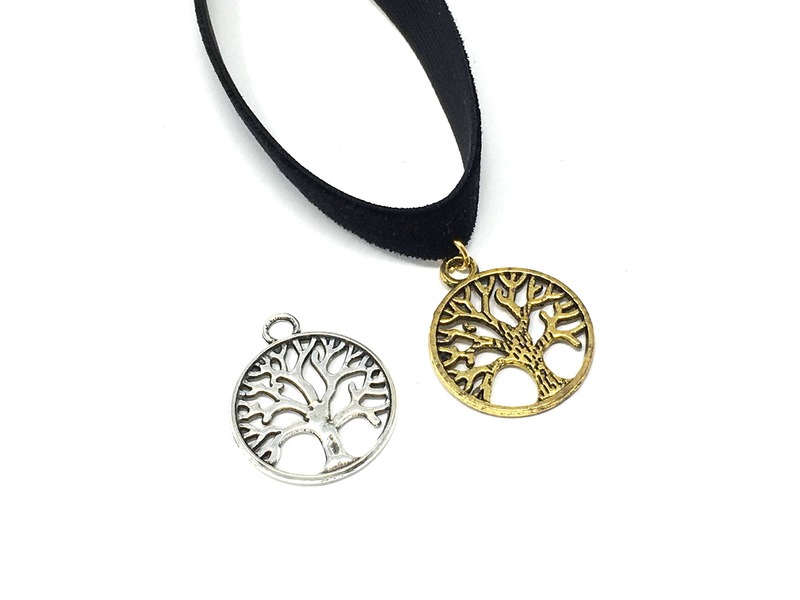 The tree of life choker is available with silver or gold tree of life charms. Measures 11 inches with a 4 inch soldered extender chain. Designed to fit necks 11 to 15 inches, custom sizing available upon request.